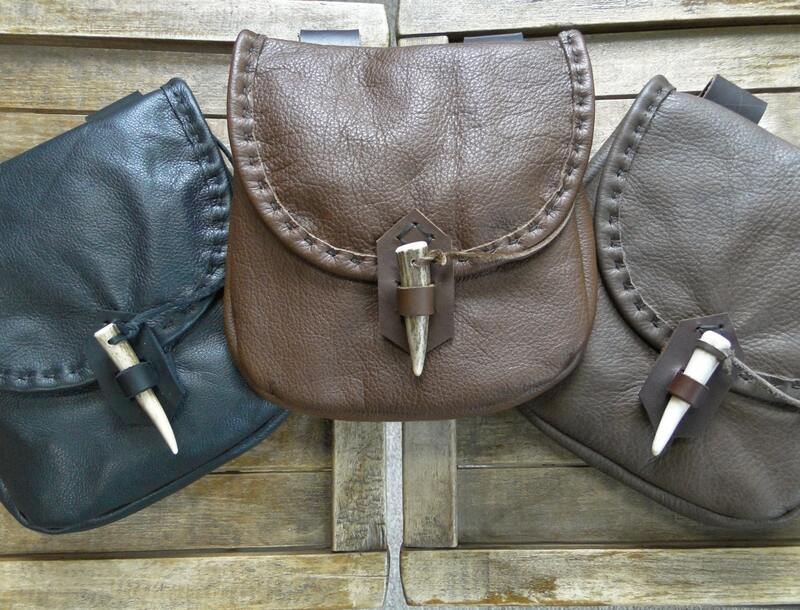 Medieval style belt pouches, handmade with high quality cowhide leather - sturdy, yet flexible and soft to the touch. 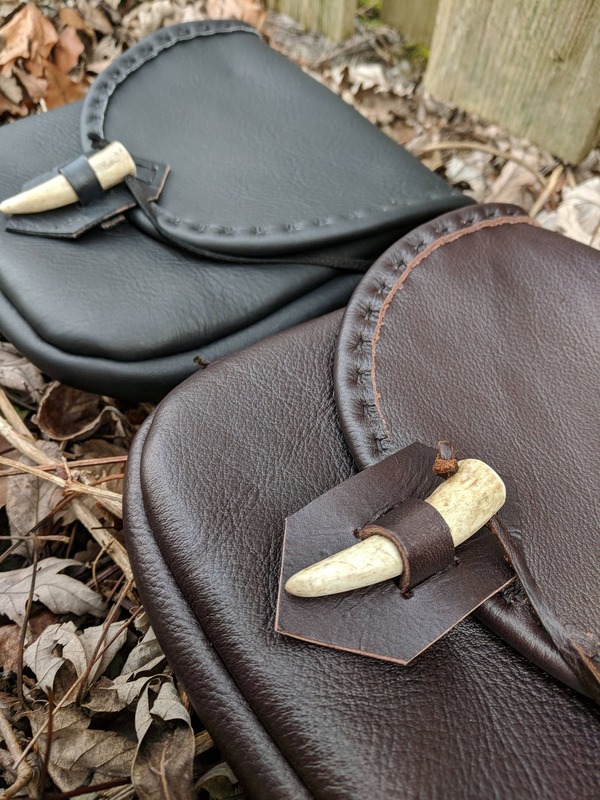 Closures are secure with genuine deer antler points, hand sewn trim on flap. 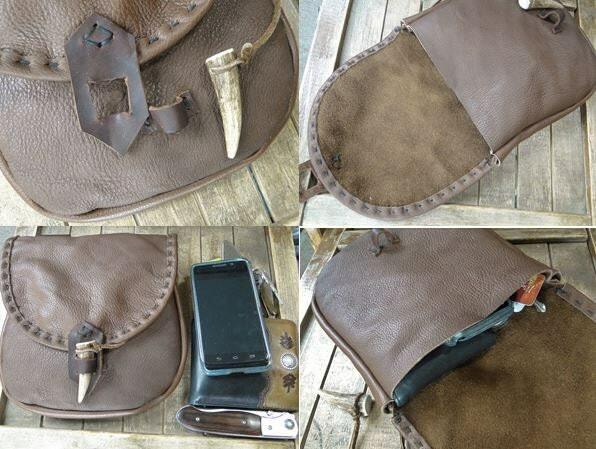 Good size able to comfortably hold your phone, wallet, keys & more! 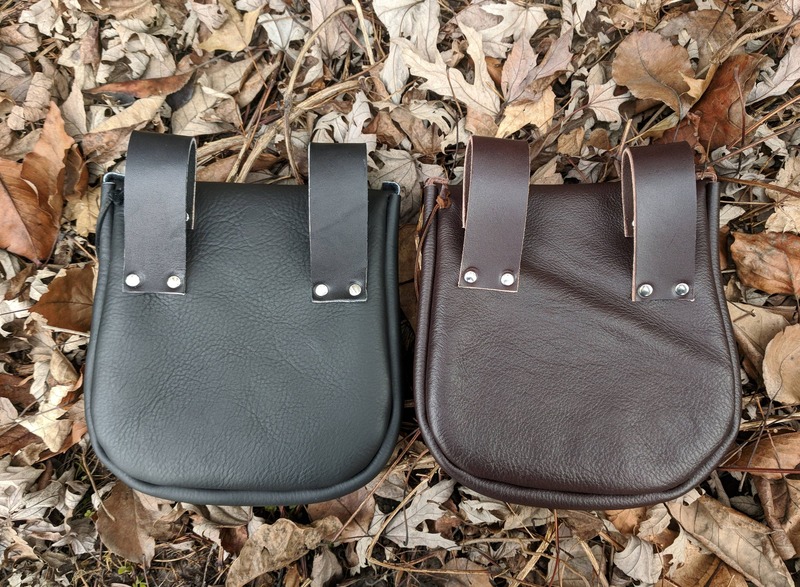 Belt loops will fit up to a 3" wide belt. Well constructed with sturdy wide loops for a belt to go through and very spacious, can hold my oversized phone and wallet in it quite well. beautiful quality of leather and well-built! 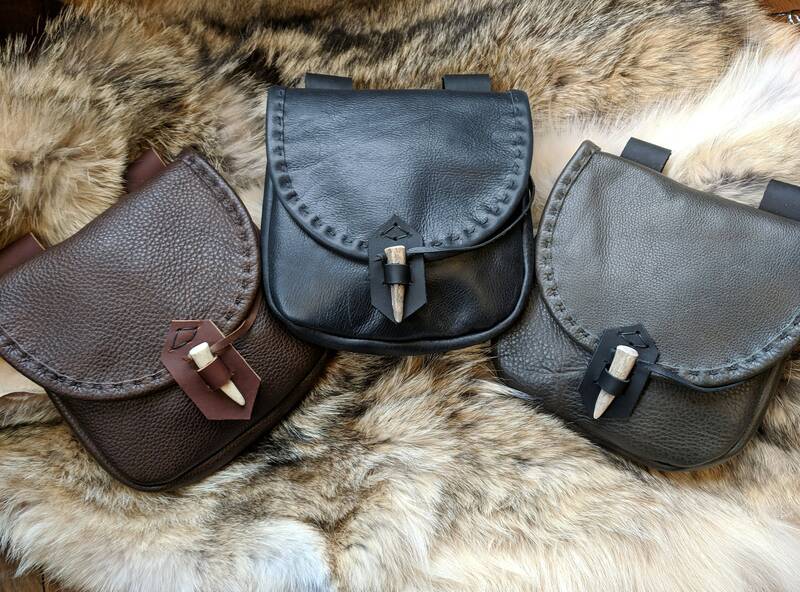 One of the coolest pouches I’ve ever purchased. Extremely well made and easy to access. I just love everything about it.